Dentists recommend that we brush our teeth two or three times a day. The easiest way to get kids excited about chores especially those strung to personal hygiene is to make it fun. Electric toothbrushes have been a success since the 1990’s and continue to be a favorite to many. This may explain why there are many brands and designs to choose from in the market. However, certain brands such as Oral-B remain the best as they are recommended by dentists all over the world. There are certain features which make Oral electric toothbrushes better than ordinary/manual toothbrushes. One of the perks of electric toothbrushes is that they eliminate the need to manually get involved in the brushing process. This is an attractive feature especially for kids who easily get bored or lack knowledge on proper teeth cleaning technique. Most kids simply brush the front teeth and call it a day. It is recommended that they thoroughly brush their teeth, tongue, and gums to effectively get rid of plaque, food particles, odor, and bacteria. With kids Oral-B electric toothbrush, the child simply needs to set it at a 45-degree angle and let the brush tickle away the food particles and plaque. Studies show that electric toothbrushes are more effective in killing bacteria and getting rid of plaque compared to manual toothbrushes. The fact that the bristles rotate faster means that a spot is thoroughly cleaned at one go hence eliminating the need to brush over the same area for the second time. When using a manual toothbrush, a child is likely to brush over a particular area twice, at most, which is not enough to completely get rid of the plaque. 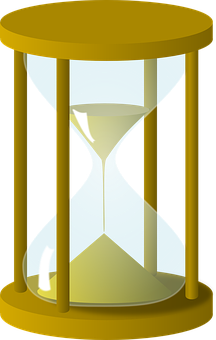 Dentists recommend that we brush our teeth for a minimum of two minutes. Kids are not so keen on the task hence brushing for a shorter period of time. Fortunately, oralB kids electric toothbrushes are designed with in-built timers which power off after two minutes. This guides the child to keep going until their brushes switch off. The rotating power head of electric toothbrushes is designed to effectively access all areas of the mouth for thorough cleaning. With manual toothbrushes, one is forced to manually maneuver the brush in different angles and areas in the attempt to get in-between, around and over all areas of the mouth. This may be asking too much from a child who’s attention is likely not in the task. Check my earlier post on choosing the best electric toothbrushes here if you missed it. Truth be told, electric toothbrushes are more fun than ordinary toothbrushes. This sole fact enables your child to look forward to their next teeth brushing session. This works in both your favors as you are assured of clean little teeth as your child gets some fun out of it. (a) Oral B electric toothbrushes are designed for different stages/ages. Before settling for a particular one, it is important that you check to see that it is age appropriate for your child. (b) You have the luxury of choosing between an electric toothbrush and a battery operated toothbrush. Rechargeable batteries are better than disposable ones which require frequent replacing which may ultimately be expensive. Most Oral B electric toothbrushes can go for up to 5 days on a single charge. (c) Check to see that the toothbrush is light in weight and compact enough to fit in little hands. Contours and rubber grips are more child-friendly. (d) The bristles of the brush should be soft to avoid injuring the child. Check to see that this is noted in the review or packaging of the brush. (e) Be keen on the shape of the head of the toothbrush. (f) The handle of the electric toothbrush should be waterproof to avoid damage and malfunction. Water sipping into the spaces within the brush may promote the growth of mold hence should be avoided. (g) Modern electric toothbrushes are designed with cartoon characters which is a bonus. When shopping for an electric toothbrush offline, it is advisable to bring your child along. Allowing them to select the toothbrush they want helps them feel more in control and consequently excites them in the teeth brushing exercise. A toothbrush with an electric cord stuck to the wall isn’t ideal for small kids. Opt for a battery operated toothbrush instead. The aim is to get the child excited about teeth brushing so see to it that the process is as easy and fun as possible. The best place to buy kids oralB electric toothbrush online is Amazon they have competitive prices and offer free shipping on some items. I would like to hear how you chose your kids electric toothbrushes or do you prefer manual brushes? leave me a message below. 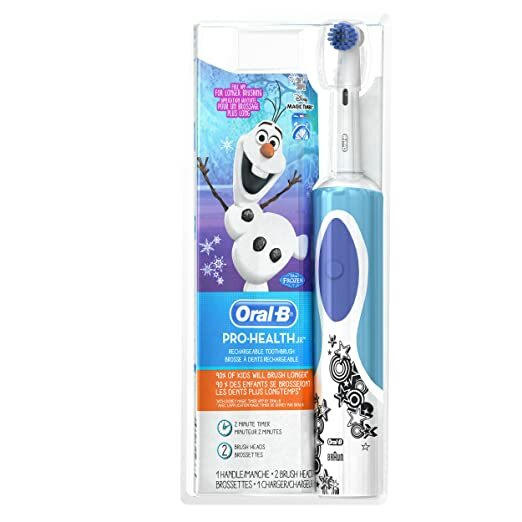 Hi, I am glad that I came across your site, because my son has been wanting an electric toothbrush for a little while now, and I was wondering which one was best for kids, as I have an Oral B for myself and was curious if they had one for kids. I will definitely look into it more, thank you for the info! 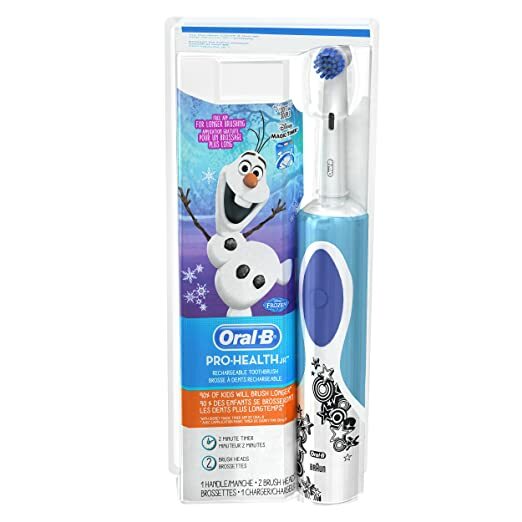 Thanks for stopping by OralB kids toothbrush is in Amazon or at your local shop. You can never go wrong with the oscillating-rotating technology of Oral B. I personally prefer it to the Philips sonic technology. Thanks for stopping by, glad you found the post useful.